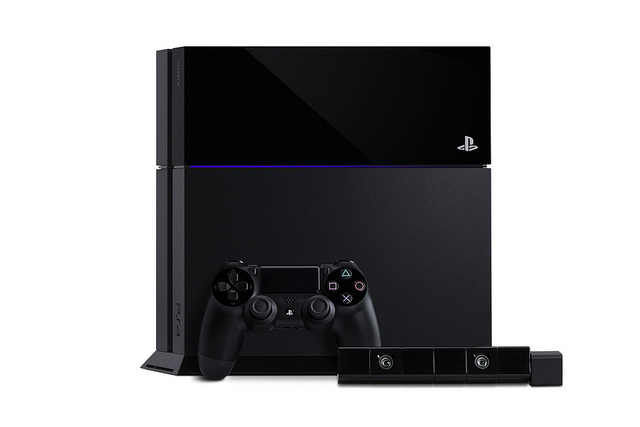 Sony showed the PS4 for the first time. Sony concluded the day of press conferences by announcing a price and launch window for their new console, the Playstation 4 and showing the hardware for the first time. The system will be available Holiday 2013 for $399, coming in $100 lower than the Xbox One. Sony also took a moment towards the end of their conference to announce that the PS4 will support used games, will not require an online connection for disc-based games, and will not require an online check-in. Sony received a raucous applause after these announcements, which were clear shots at Microsoft after they received backlash for announcing that the Xbox One will require an online check-in every 24 hours. However, Sony also indicated that Playstation Plus will now be required to access online multiplayer for PS4 games. The price will be $5 a month for this service, equivalent to Xbox Live Gold’s $60 a year price. Playstation Plus currently grants access to cloud-based game saving and free access to certain games, but has not been required for online play. Sony also showcased a number of games for their upcoming PS4 and briefly discussed new titles for their Playstation 3 and Playstation Vita systems. The Vita will be getting dozens of new games by year’s end including Batman: Arkham Origins, the PS3 version of which will recieve exclusive content, Counter Spy, Killzone Mercenaries, Tearaway, and Doki Doki Universe. Playstation 3 titles mentioned include The Last of Us, Puppeteer, Rain, Gran Turismo 6 and Beyond: Two Souls. A new Playstation Vita bundled was also announced for later this year. The bundle will feature a system skinned for The Walking Dead and will include the full first season of Telltale Games hit series, the upcoming episode The Walking Dead: 400 Days, and additional bonus content. Sony also announced a new Playstation 3 bundle for later this year which will feature the next installment of Rockstar Games’ hit open-world action series, Grand Theft Auto 5. A Grand Theft Auto 5 version of the Pulse headset for Playstation 3 was also announced. Updates were issued on four games from the Playstation announcement in February. Killzone Shadowfal, Knackl and DriveClub were announced as launch titles, while Infamous Second sons will be out in Q1 2014. DriveClub will also be immediately available for free to Playstation Plus members. The Order 1886, a Playstation 4 exclusive, was announced with a trailer. Sony took a moment during their conference to reiterate their support for indie developers by announcing SuperGiant Games latest game Transistor will hit Playstation first in early 2014. They also announced console exclusivity for Don’t Starve, Octodad Dadliest Catch, Mercenary Kings, Secret Ponchos, Ray’s the Dead, Outlast, Galak-Z, and a remake of the original Oddworld, Oddworld Abe’s Oddysee New N’ Tasty. Exclusive content was announced for several multiplatform titles. Diablo III will receive exclusive items from other Playstation titles such as Uncharted when it releases on Playstation 3 later this year. Multiplatform titles Watch_Dogs and Assassin’s Creed IV: Black Flag will also get exclusive content when they release. The Elder Scrolls Online, the MMO set in Bethesda’s popular RPG series will have an early access beta on Playstation 4 in Spring 2014. Sony closed out their press conference by showing world-premiere gameplay footage for Destiny, the next game from Halo creator Bungie. Destiny will be multiplatform on current and next gen consoles but will get exclusive content on Sony platforms. Final Fantasy XV,formerly Final Fantasy Versus XIII, Kingdom Hearts III, and a Mad Max title all received trailers during the press conference, but they are not exclusive to Sony platforms.